Get into the woods and discover some of the hidden gems of our park system! The Fairmount Park Trolley operated in East & West Park from 1896-1946 providing a reliable and enjoyable means of accessing park amenities. 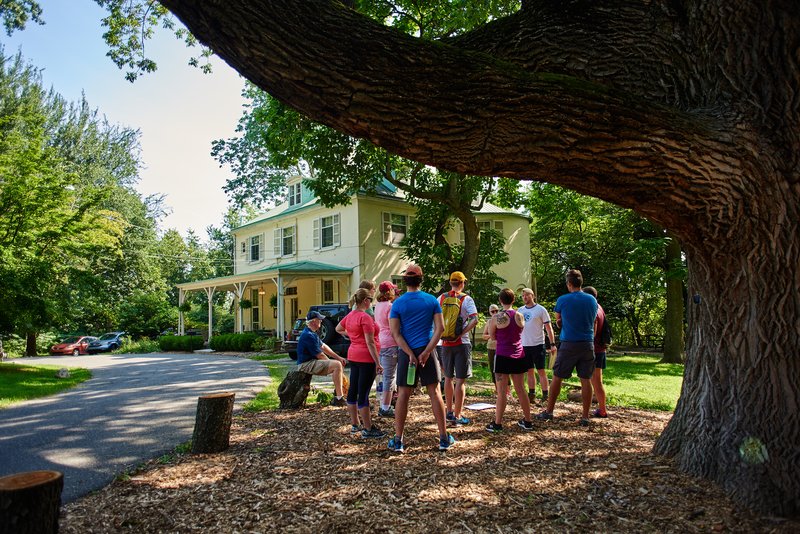 Explore the physical remains of what is now a hidden trolley network including massive stone tunnels and bridge abutments along this 4 mile loop hike led by former Fairmount Park Conservancy Project Manager, Chris Dougherty. Meet at 10:00 AM outside of the Chamounix Hostel in West Fairmount Park. Parking is available. To learn more about our work along the Trolley Trail in advance of your hike, please click here. Please bring water, a snack and wear comfortable clothing and hiking-appropriate shoes.